This is a pre-order. Expected ship date is June 10, 2019. THE POISON - FRIDAY MUSIC 180 GRAM AUDIOPHILE VINYL SERIES CONTINUES!!! CELEBRATE 3 DECADES OF THEIR DEBUT "LOOK WHAT THE CAT DRAGGED IN"
FEATURES SMASH HITS "I WANT ACTION" "I WON'T FORGET YOU" & "TALK DIRTY TO ME"
In 1987, the smash debut of Poison’s “Look What The Cat Dragged In” set the metal and hard rock world on fire, becoming a multi-platinum Lp for the powerful rock quartet. The amazing masterwork was a stellar beginning for the band, who continue to have an enduring & successful career three decades on. Fronted by the driving lead vocals of Bret Michaels, the multi-talented Bobby Dahl on bass, the power drums of Rikki Rockett and the guitar chops of C.C. DeVille, “Look What The Cat Dragged In” proved to be worth its weight in gold and platinum sales. Featuring three mega hits with “I Want Action”, “Talk Dirty To Me” and the power ballad “I Won’t Forget You”, this album is known as one of the first hard rock/metal albums to bridge the old school with the new & is still considered one of the strongest hard rock debuts ever. 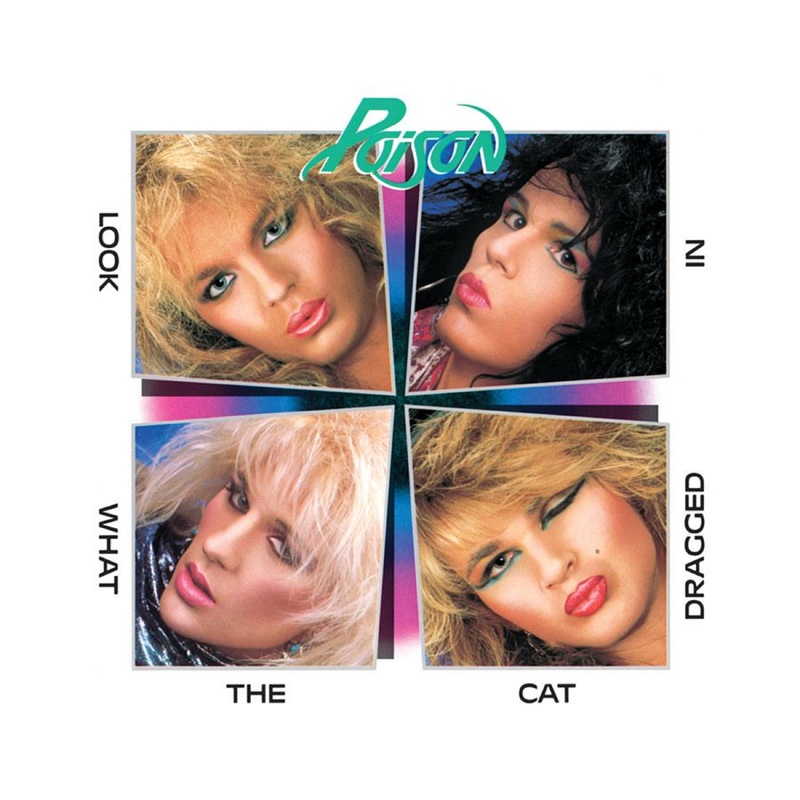 Friday Music is no stranger to the superstar sounds of Poison, therefore we are very pleased to continue the Poison 180 Gram Audiophile Vinyl series with their stellar smash debut “Look What The Cat Dragged In” now pressed on first time super limited edition 180 Gram Purple Audiophile Vinyl. The album was mastered impeccably from the original Enigma Records/Capitol Records tapes by Joe Reagoso at Friday Music Studios in Huntington Beach, CA, and is packaged in a striking gatefold cover featuring the original artwork and lyrics. This will be one of the most anticipated heavy rock revisits in the audiophile domain for quite some time. Poison “Look What The Cat Dragged In” First Time 180 Gram Purple Audiophile Vinyl! Exclusively available from your friends at Friday Music.